We wish all of you, wherever you may be, a joyous and peaceful Christmas and a happy and prosperous New Year. We shall much look forward to being with you in January, but in the meantime thank you for the friendship, kindness and generosity which you have shown to us throughout 2011. Have a wonderful Christmas, it has been a delight 'meeting' you both this year, here's to health and happiness in 2012. What lovely lights! I hope you have a lovely Christmas and wish you a very Happy New Year. Beautiful photo... And a very Happy Christmas and a Healthy and Happy New Year to you both too. What a beautiful display. Thanks for sharing. Richard from My Old Historic House. Merry Christmas and Happy New year. Lovely lights indeed! And Händel's Messias has been played at home so often (one of my Dad's favourite composers of all times) that it means Christmas for me, too, although I am not religious and celebrate Christmas for a different reason. Have a glittery Christmas and a sparkling New Year! Merry Christmas to you both. Budapest looks really beautiful here - I hope you have a wonderful time. Thankyou.... I have recently 'found' on my travels through the blog world and love your writings. Take care...and have a lovely Christmas. Best christmas wishes to you both. Funny, guess what I plan to feature as a christmas post? It should appear christmas eve your time. Lovely. Visiting your blog has been a bright spot this past year - always a delight. Have a wonderful Christmas and a wonderful start to the New Year - and come back with many more posts because Helen gets bored easily! Merry Christmas to you. Thank you for this beautiful post. What a festive photo and song! What a fitting climax to 2011 - Handel's Messiah - really enjoyed connecting with you and look forward to hearing more from you in 2012 - Have a wonderful Christmas. You are a fascinating duo; your life, interests and way with words inspires me immensely. You have caused me reach to the music shelf and find Handel's Messiah - thank you. Wishing you both the most Merry Christmas. 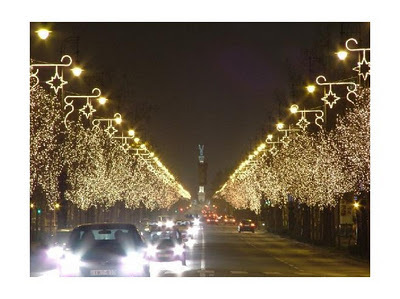 Great picture of the avenue of street lights in Budapest. Fabulous picture and choirboys at Christmas, perfect. What a wonderful clip of this piece. - I really enjoyed it. Thank you. Have a lovely Christmas and happy 2012. What a beautiful picture of the Chrismas lights in Budapest. Due to council budget cuts, our local town lights are not as spectacular this year! I hope you both have a wonderful Christmas, and wish you good health and happiness for the New Year. Lovely photo of the lights. A very Happy Christmas to you both - and I wish you the very best of good things for the New Year. Looking forward to reading about your exploits and your fascinating tales in 2012. The lights are spectacular and I have always loved church hymns, happy holidays to you and yours. Dear Jane and Lance, Wishing you all the peace and beauty of the season. Safe travels, if you are going to be far away from home and a heartfelt Merry Christmas. Happy Christmas, H@@s, and thanks for the inclusion to my playlist for the day - wonderful. You are beautiful people! I wish you joy in abundance for the holiday season and 2012. Wonderful photo and music and lovely to have found you again. A very Happy Christmas and enjoy the season. Happy Christmas, Jane and Lance! Your wit, spirit, and good nature have charmed us all this year, and we wish you delightful festivities. My family does not have a Christmas, but it is the best holiday season of the entire year. So I wish you both everything good, especially health and peace. The lights have a magical feeling, don't they? It is like fairyland, in the real world. What an impressive display of lights. They are very elegant. Wishing you both a very Happy Christmas and good wishes for 2012. Merry Christmas Jane and Lance! Merry Christmas Jane and Lance! So thrilled to have discovered your blog this year, and a big thank you for being my first followers back in the summer! I always enjoy hearing from you two. All the best for a Happy Holiday season and a delightful 2012! A very Merry Christmas to you both! It has been a joy to make your virtual acquaintance this year. Have a happy, peaceful Christmas and a New Year of good health. The scripture you posted at the end brought tears to my eyes. May Christ's blessings sweetly enfold you. Sending you my love and sending Him my gratitude for having allowed our lives to meet in this beautiful way. God bless you both this Christmas and throughout the New Year. It has been such a pleasure to follow your blog and I so appreciate your following mine. It has been an honour. Beautiful wonderful lights! Makes the spirits soar and then the Messiah -- two perfect presents to the blogosphere! Handel's Messiah is an important part of my Christmas too, and those lights are spectacular. I am so happy you have come into my life--I appreciate your intelligent, interesting blog; your kind comments; and the way you have knit together an international community of devoted followers. I wish you both good health and happiness through the holiday season and the new year. Merry Christmas and a Very Happy New Year ! I have so enjoyed finding your wonderful blog this year. You live in a magical place and thank you for your choice of music. Wishing you the joys of Christmas. Blessings and good health in 2012. Thank you for your friendship, kindness and wonderful sense of humour. Like other readers have said, you brighten my days. Have a wonderful Christmas holiday. You both have touched so many people this year and I, for one, am so grateful for having taken a glimpse into your lives. You are such special people. It's been a very good year and I have so loved having you two as part of my life. Always, it seems you know just what to say to comfort and cheer another. Merry Christmas and best wishes for the coming new year Jane and Lance! So beautiful - both the lights and the ever enduring, goosebump raising music! Happy Holidays to you both! Lights are one of my favorite things at Christmas and these are very, very impressive. Wishing you both a very Merry Christmas! Dear Jane and Lance - I couldn't help thinking, as I looked at the first photograph, that it was an image of two rows of angels, all blowing trumpets. Best wishes from your blogging friend, Mark. I wish you happy holidays! I hope you`ll spend them just the way you want. I also hope that your dreams will come true. I feel so privileged to know you through your blog. It`s a great pleasure. And also, I have learned lots of lessons from you. Have a Blessed Christmas you two! Your post is beautiful as are your spirits! Before I focused in on your first picture I thought it was of Les Champs Elysee. Beautiful. May your Christmas and New Year be the same. Somehow it is easier to imagine that boulevard with carriages riding down it than with the present automobile traffic. Ah you're lovely people so y'are. Have a brilliant Christmas yourselves. Looking forward to seeing what you introduce us all to in the New Year! All the best for the coming year. Oh wishing you peace and goodwill and a Merry Christmas. I have so enjoyed reading your beautifully crafted comments and posts. With very best wishes for a joyful and peaceful Christmas and a healthy 2012. I have loved reading all of the comments, knowing that you are so cared for, so appreciated by so many. And so it should be. I feel very, very fortunate to have you both in my life and I am wishing you both a very Merry Christmas and yes, a 2012 full of joy. Handel's Messiah was always a big part of Christmas in my house. My Dad would sing the Bass line, my Sister the Soprano, I would sing Alto or Tenor and my Mom would whisper along quietly but happily. You have touched the hearts of many, including me, with your delightful posts and treasured comments. Wishing you a wonderful Christmas and looking forward to a Happy New Blogyear. I have enjoyed passing by your blog, and look forward to more in 2012. Dear Jane & Lance, Your considered comments and interest in my simple little blog and the introduction (education often) provided to me on yours about places and histories and people I have never encountered before, have given me great enjoyment. I look forward to continuing following your journey in 2012 and wish you the best of everything for Christmas and the New Year. Have a beautiful Christmas and a peaceful new year. Thank you for the clip - lifted my spirits. Also just caught your last post - I want a cabbage lady in my town. another great post. Wishing you a very happy Christmas and health and happiness for 2012. Your inspiring blog, kind replies and comments on my posts have been one of the best things about this very addictive past-time! I felt very shy starting out but now writing and illustrating my bits and pieces has become one of my most up-lifting new experiences this year.Thank you for all your kindness and support. Hope your holidays are filled with the spirit of the season! it has been lovely getting to know you these past few months. Here is to more blogging, a very good Christmas and a very happy and healthy New Year. Came back just to listen to the song and cry some more. Wishing you both a very Merry Christmas...and here's to a wonderful 2012!! The same very good wishes to you Jane and Lance and your family. Here's to another wonderful year sharing beauty, news and surprises. Merry Christmas Jane and Lance and all the best in the new year. Beautiful light display on Andrassy. How beautiful Handel Messiah is! We sang the Hallelujah with a youth choir, in the great church of Schiedam two weeks ago. I can still feel the goosebumps on my skin when I think back of it. We also sang several songs by Britten and some more contemporary ones by Rutter. However, the Rutter ones are not among my favourites. I enjoyed reading about the concert you had last Wednesday. The music sounded lovely! I wish you and Lance a Merry Christmas and a Happy and Healthy 2012! Merry Christmas and Happy new year Jane and Lance...Budapest looks absolutely beautiful at Christmastime. So happy to have found you this year...I have learned so much from reading your wonderfully written posts...thank you! Thank you so much for the lovely musical Christmas greetings, Jane and Lance. You know how much I love Messiah! My life has been so enriched this year by starting my blog and getting to know so many wonderful people and their blogs. I feel proud that you follow my blog and very much value your kind and generous comments. I always look forward with immense interest to your own posts. Wishing you both all the peace and joy of Christmas and a healthy and happy New Year. Wishing you both a wonderful Christmas and a special time with family and friends. Thank you so much for such wonderful and interesting posts and your support and lovely comments over at mine. Enjoy this special time and see you in 2012. JAne and LAnce, I am wishing you all the best for the season and a Merry Christmas. Your unfailing support of Savoir Faire has been incredible and much appreciated! Hello Jane and Lance! Just dropped by to say I hope you have a very Merry Christmas, and that 2012 will bring with it many good things for you both! It has been lovely to 'meet' you this year. I will try to visit your beautiful blog more frequently in the New Year. One of the nicest things to me this year is encounter with two of you, Jane and Lance. I have enjoyed and learned from your interesting posts and have felt encouraged and supported by your feedback on my posts. It’s me who have to say thank you for all the things you brought me. The avenue lined up with the lights is simply beautiful. The music is pleasant. Wish you a peaceful holiday season and all the best in the New Year. My dear Jane and Lance, hope you have a wonderful Christmas and Happy Hogmanay! The weather is forecast to be mild in the northerly places! I think it would be a blessing to be released from the chilling grip of winter even just for a few days!! I love the lights, I love the music, I love the voice, I love the whole feeling of hope it all combines to force into even my cynical heart. Gosh, Jason is in a good mood and joyous for a change.......I'll need a lay down before tea time at this rate. Oh fiddle, maybe I'm getting all religious......hmmmm. Happy days to you both, merry seasonal greetings. Thanks for the music. Wishing you both a very happy and very healthy new year! Wishing you both a merry Christmas and a healthy, happy New Year! I am looking forward to your journeys in 2012. Where did 2011 go? Jane and Lance - have a wonderful, eclectic Christmas (could you have any other sort?) and thank you for blogging, for sharing your most interesting observations, stunning photos and wonderful memories. I'm delighted to have found you and thank you so much for your comments on my own blog - I do so look forward to reading them and would so miss you if you stopped!! Health and happiness for the New Year - look forward to reading you in 2012. Hope your Christmas is merry and gay! Dear Jane and Lance. I wish you a very Merry Christmas and Happy New Year. Thank you for your kind observations and comments this year. They mean a lot to me. I so enjoy following your fascinating life you lead with kindness and honesty. I wish you good health and happiness into 2012. Annie x. And to you both, here's wishing you a wonderful 'Boxing Day Eve'..sorry um, a most peaceful Christmas and a positive, uplifting 2012. Beautiful lights, I can't imagine how much more beautiful they are in person. Merry Christmas and Happy New Year! Thanks for sharing a part of your life with us! Thanks for helping so much to brighten up my year Jane and Lance, it has been a pleasure to 'meet' you. All the very best to you both for the year ahead. Warm regards and a huge smile! Thanks for this beautiful music and a wish you also a wonderfull Christmas. Merry Christmas and best wishes for a very Happy New Year! Thank you for all of the lovely and informative posts this past year. I've been visiting your blog for a few weeks and enjoyed it so very much! Merry Christmas dear Jane and Lance. I hope you have a most wonderful weekend. Very best wishes to you, dear friends, for a happy Christmas and a peaceful New Year. Have a wonderful, wonderful Christmas and a fabulous New Year! It has been lovely to discover you this year. What great photos...hope you have a wonderful Christmas!! That is a spectacular view of Andrássy street, looks magical. Oh, what a wondrous, magical, heavenly masterpiece! Sending you very warm wishes of health, love, joy, and prosperity as well! Thank you for the love and beauty you bring to this world..you are both treasured and loved very much..
Merry Christmas and many blessings for the New Year to you both! I've appreciated your friendship so very much this past year...thank you! Happy Holidays to you and your family, million kisses. Hope your Christmas is all you wished for. The reality of life is Divine, however easy it is to forget that. Mostly we forget just what it what Jesus Christ did for us, without once considering his own benefit. The truth is born where it chooses, even, as needs must be, in the humblest circumstances. I hope you are both enjoying a wonderful time over this festive season. I do so enjoy your posts, your visits and reading your comments- it should be me thanking you! It has been wonderful making your aquaintance and getting to know you. All the best for 2012. New year, new events, new posts... Isn't it exciting?! We shall stay tuned to see what happens to you Hattatt's! I am thinking about you and stopping in to wish you a very Happy New Year. May the year bring blessings, good health, peace, joy, travel and friendship. It is lovely knowing you. I wish all the bests to You in 2012! Thank you for your nice posts and always-welcome comments. Wishing you all the very best of good things in 2012. This Christmas was so odd. Kenny is gone, Graham was not able to get home from Colorado as his job at the mountain is demanding over the holidays. It was Alexandra and me. We were blessed to have her boyfriend's family spend the day with us. We were busy, so we did not have time to be sad. That being said, in reading your post I realize that I didn't listen to Handel's Messiah, on of my favorite pieces to hear during the season. I am so pleased I stopped by. Lights are just like the ones in Istanbul. Very beautiful!.. Happy New Year, dear Jane and Lance. Wish you health, peace and happiness in 2012, more than ever! I found your blog through Bourbon and Pearls. It's such a treat to see all the pictures of Budapest. Thanks for sharing. Happy belated Christmas and all the best to you in 2012! Dear Jane and Lance, what beautiful lights, the trees look like earrings dangling from the brackets above. I hope you have had the best Christmas ever. p.s. I am not sure if you received my e-mails, I have been having computer trouble? Dear Jane and Lance what beautiful lights just drawing the eye down a glorious street view. 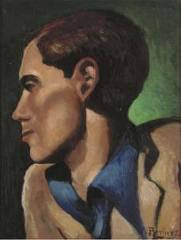 I'm looking forward to the enjoyment I have received from reading your blog continuing into 2012. Dear Jane and Lance, I do hope that 2012 finds us all in better health,and I just want to wish you both a very Happy happy New Year, and tell you how much your words have comforted and encouraged me. Two kinder souls I have yet to meet, thank you! Oh my gosh, how beautiful! I hope you have had a wonderful Christmas, and wish you the best for this New Year. Dear Jane and Lance - such a beautiful photograph of a wonderful memory. You're in my thoughts and prayers for safe journey and peace for your travails. A Happy New Year Jane and Lance. Hope everything is good with you and you are having a good holiday. Hi Jane and Lance! Just wishing you a Happy New Year and Best Wishes for 2012! Looking forward to welcoming you back. It's been a while since I've been around. A Healthy, Happy New Year to you, dear friends! We haven't seen you for a while, and I am thinking it might be your dear family, but wishing that things are ok.
Sending warm thoughts your way...we miss you! I came by to say Happy New Year to you, Jane and Lance. Wish you a year of good health, peace, and prosperity. Hope you're having a good time on your holidays. how utterly delightful.......and a peacefull new year to you!! Those lights in Budapest are amazing. Hope you had a great holiday and are enjoying 2012. I do wish you would post more often :), you are very special to me :). I wish you an amazing new year. Hugsss. I wish you a happy new year and all the best for 2012!!! It's always lovely to see you visit Lawn Tea, and I'm so glad to see that you're looking in. I just kept trying and trying to catch a glimpse of your comment, but it would whisk off the screen after a little flirtatious peek, but I finally got through in a round-about way through the "edit" function. I suppose all the machinery got a bit rusty from disuse whilst I was away. Thank you both so much for the kind words, and I hope all is well and warm with you! I saw this at Christmas time and it was so uplifting - so beautiful - and such a gracious way to celebrate the season. The first notes of the music (heard, oh, so many happy times and places, before) made my heart soar! Well! Now, here we are in the new year and I have, simply, been thinking about you. I want to wish you a year full of keen adventures (just, no heists, please;), peace, absolute riches of intellectual treasure to engage your minds and hearts and to fill you up and lots of laughter and joy, too!